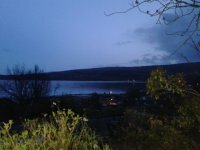 Arran , a magical island, rests in The Firth of Clyde between the Ayrshire Coast and the Kintyre Peninsula. The island is described as "Scotland in Miniature" for very good reason. 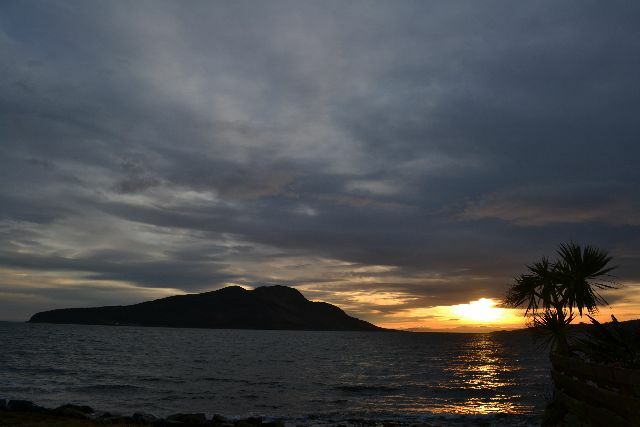 The commandos trained here during WW2 as they encountered virtually every terrain they were likely to encounter abroad.There is the mountainous north and the rolling hills of the south. Beautiful sandy beaches and rugged rocky views. 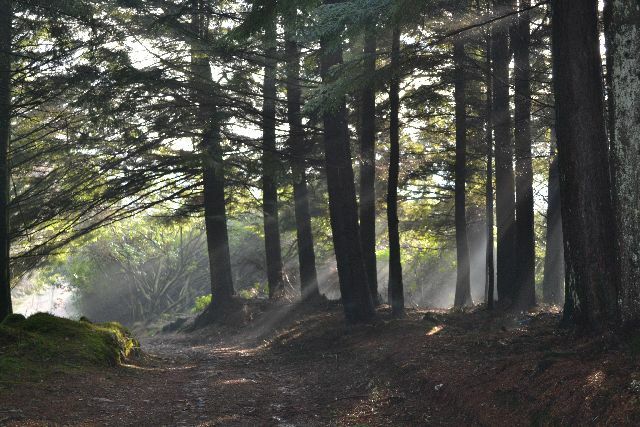 An abundance of wildlife, 7 golf courses, water sports, hill walking, climbing, numerous places to eat and drink, award winning hotels and more lead Arran to be a top holiday destination. What Kind of Holiday are you looking for ? interested in; History, Archeology and geology ? There is much of interest on Arran with the Heritage Museum being a good starting point . There are numerous chambered cairns , stone cists, impressive monoliths and Machrie Moor Stone Circles , a replica Bronze Age Roundhouse Iron Age forts and Viking graves. 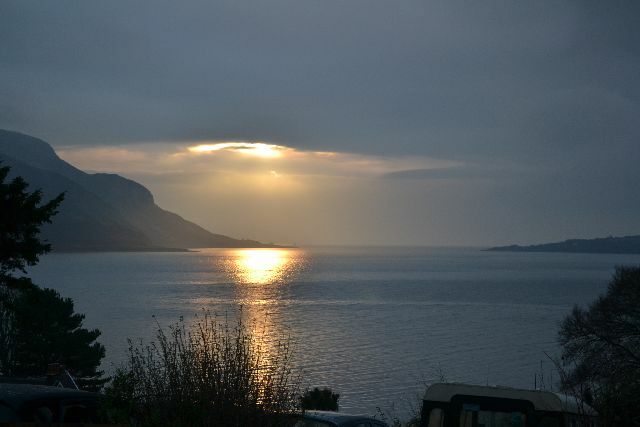 Iron Age Forts, A Viking Burial and Buddhists is a very interesting blog including information on Holy Isle in Lamlash Bay. The geology of Arran is very complex with some unusual sights including Hutton's Unconformity. 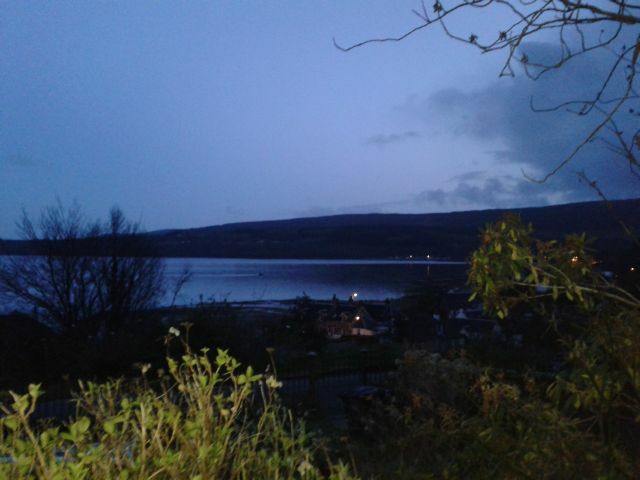 The Highland Boundary Fault runs through Arran.Hence the island truly being " Scotland in Miniature" as this is the fault line that separates the highlands from the lowlands of Scotland. Stay in your "home from home" relaxing on the decking enjoying the stunning view of Lamlash Bay while watching the red squirrels in the garden.Have a BBQ - one is provided for you. There is no need to go anywhere, if you don't want to, as everything is here for you and your shopping can even be delivered. 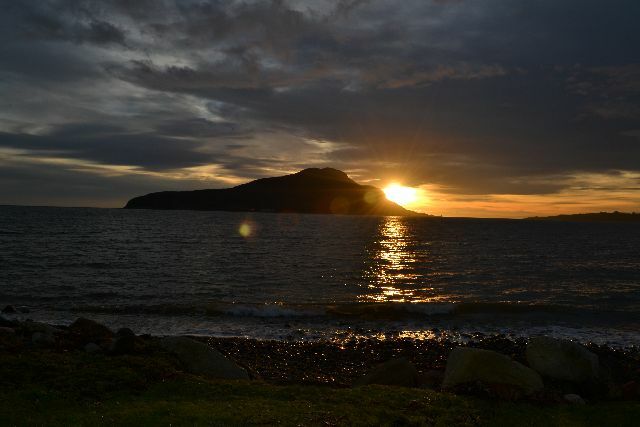 You will probably want, though, to enjoy the wonderful scenery and sample Arran island life. So, there are villages to explore, home of " the world's best cheddar" , craft shops, galleries , potteries, chocolate maker , brewery , distillery and museum to visit as well as plenty of tearooms, restaurants and pubs to enjoy during your stay. A bit of off road exploring can be done in comfort on the Mogabout Or what about a photography course using equipment provided or your own. For a bit of pampering have a spa treatment but make sure you have plenty time to relax. The apartment is totally self contained where you can have complete peace and privacy.Walk on the beach or along forest paths where often it will be only yourselves and nature as your companion. 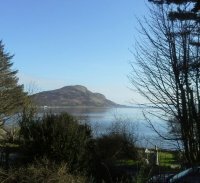 Arran is a very popular place for weddings for people worldwide. 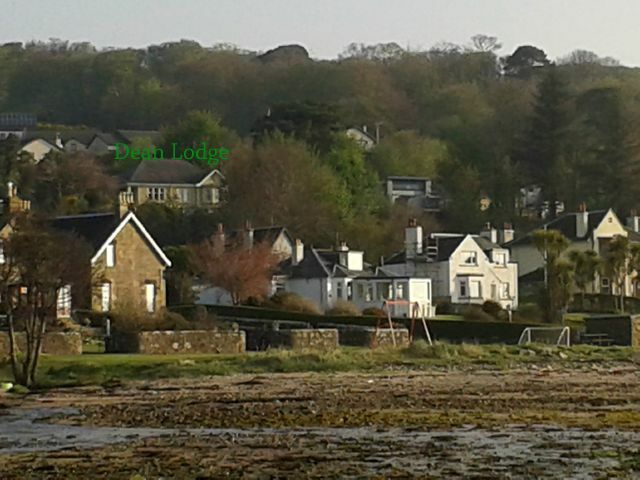 On Arran, if you wish, you can be married in a place of your choosing be that church, beach, mountain, moorland or castle. We provide a sparkling wine and a special welcome tray for people on honeymoon or who wish a romantic stay. Arran has an amazing range of wildlife. In the garden, a range of birds, including pheasant and unusually, 4 robins, visit regularly as well as the red squirrels who come to the feeder outside the apartment window. Seals bask on the rocks near the house and otters may also be seen.Red deer often wander about the village of Lochranza at the north of Arran.Golden eagles, the King of Birds, soar in the sky. Porpoises and basking sharks also visit the island shores. 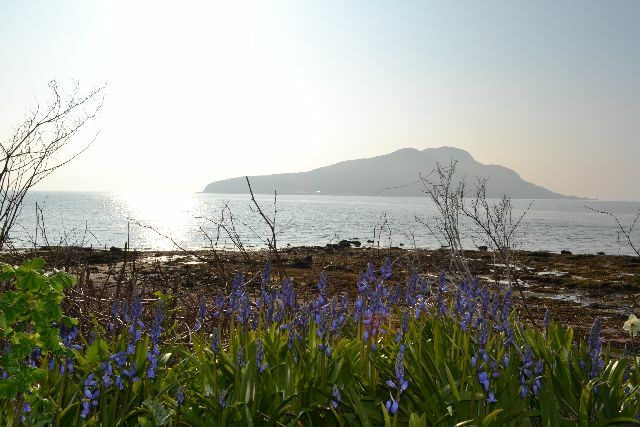 The flora on the island is equally impressive with Arran not only having its own rare and indiginous tree the Arran Whitebeam but palm trees grow due to the Gulf Stream. 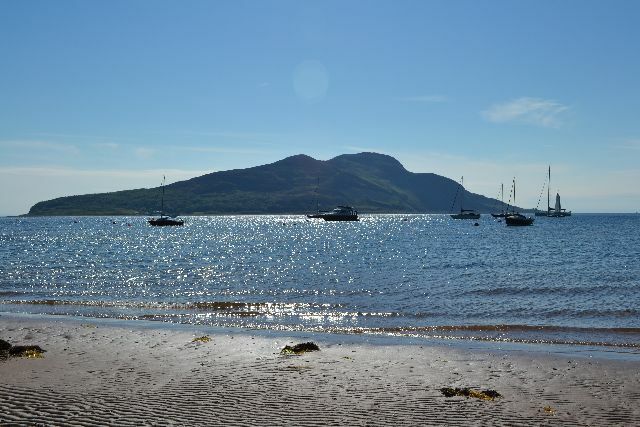 Regeneration of the seabed has been pioneered in an area of Lamlash Bay known as the " No Take Zone"This is Scotlands first fully protected marine area which is proving to be very successful and well worthwhile following. 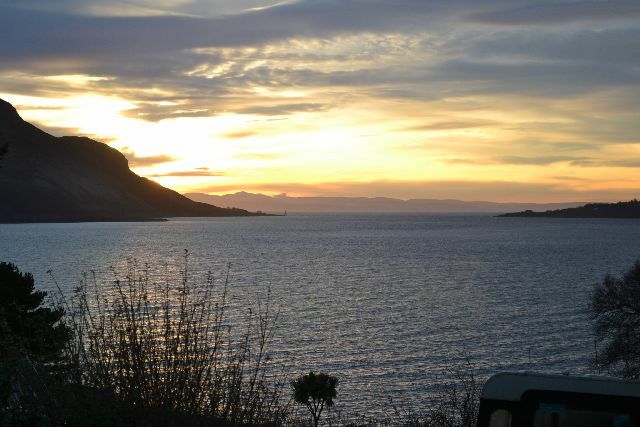 Arran is only one hour’s drive from Glasgow and a 55 minute ferry crossing from Ardrossan Harbour to Brodick. 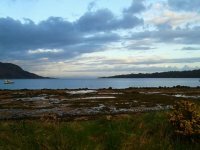 Another ferry, taking 25 mins., runs in the summer from Claonaig in Kintyre to Lochranza at the north end of the island. The introduction of Road Equivalent Tarrif ( RET) has vastly reduced ferry fares. The return cost of a car is now under £30 and is the equivalent pf 50p per mile. There is a secure car park at Ardrossan Harbour, if you do not wish to bring your car. Foot Passengers and cyclists:No booking is required but you must be ready to board 10 mins before departure time. Trains: Trains run direct from Glasgow Central to Ardrossan Harbour. There are three stations in Ardrossan, the harbour being the last one at the end of this line.